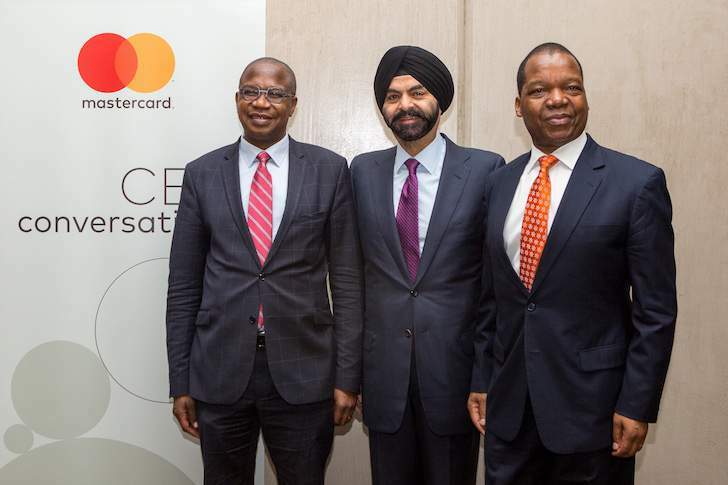 Harare, Zimbabwe, 22 October 2018 - Mastercard President and CEO, Ajay Banga, this week visited Zimbabwe to show Mastercard's strong support for the country's drive to create a new wave of digital payments and inclusive growth. He outlined how Mastercard will collaborate with local private and public sector partners to drive greater financial inclusion through the implementation of innovative payment technologies. Banga met with key government and private sector stakeholders including Professor Mthuli Ncube, Zimbabwe's Minister of Finance and Economic Development, and Dr John Mangudya, Governor of the Reserve Bank of Zimbabwe, to formalise Mastercard's support for payments innovation in Zimbabwe. Banga also disclosed Mastercard's plans to establish an office in Harare, Zimbabwe to coordinate its efforts to address financial inclusion – a pressing challenge in Sub-Saharan Africa where only 42.6 percent of the adult population has access to an account. He made the announcement in Harare today at the company's CEO Conversations event, a gathering of senior leaders from top financial institutions, mobile network operators and retailers. The new office will allow Mastercard to provide more effective support to its customers in neighbouring Southern African countries. "Too many people and businesses are still excluded from the financial mainstream. This leaves them without the things we take for granted – a way to save money for a rainy day, get loans, or insure themselves or their crops," says Banga. "Harnessing our global technologies and expertise, our Zimbabwean team will closely collaborate with all stakeholders to solve local challenges and enable more inclusion in the formal financial system." Mastercard's expertise and products will be relevant across Southern Africa and in Zimbabwe, as the country implements the National Financial Inclusion Strategy, which aims to increase access to formal financial services from 69 percent in 2014 to at least 90 percent by 2020. Dr John Mangudya, Governor of the Reserve Bank of Zimbabwe, says: "We see Mastercard's investment as a positive development that will help us achieve our long-standing vision and our strategic plan to accelerate the shift towards cashless payments, modernise payments systems and infrastructure, and build an inclusive financial sector that supports the socio-economic development of the country." To increase financial inclusion in Zimbabwe, Mastercard recently partnered with EcoCash to launch EcoCash Scan & Pay, offering a simple, secure and instant QR code-based mobile payments solution to merchants and consumers. Since it leverages low-cost QR code technology rather than physical point of sale devices, Masterpass QR makes it simple and affordable for small and informal traders to accept digital payments. "We applaud the remarkable steps Zimbabwe has taken towards modernising its electronic payments sector and the significant strides it is taking towards a more inclusive society," says Mark Elliott, Division President for Mastercard, Southern Africa. "We are excited about the opportunity to partner more closely with Zimbabwe's financial institutions, businesses and public sector to bring greater interoperability and payments innovation to the benefit of consumers and merchants."